(CNN) - Neither former President George H.W. Bush nor his son former President George W. Bush will attend the inauguration of President Barack Obama. 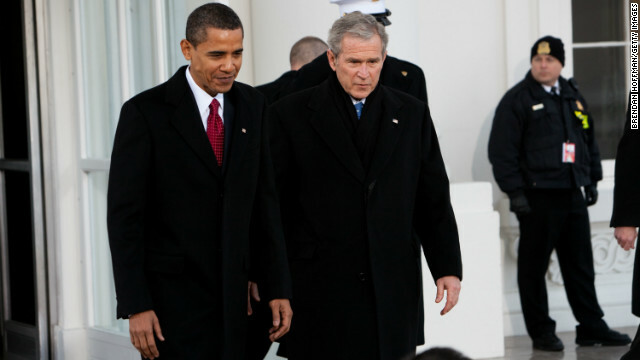 Both attended Obama's first inauguration in 2009, when the younger Bush's second term ended. Former presidents often attend inaugurations and have prominent seats alongside legislators, Supreme Court justices and other dignitaries. (CNN) - Clipping political mustaches became a bi-partisan affair Friday. Republican strategist and CNN contributor Alex Castellanos said farewell to his long-standing facial hair - which he joked started growing when he was "about two or three years old" - on Friday as his mustache was shaven on CNN's "The Situation Room with Wolf Blitzer." 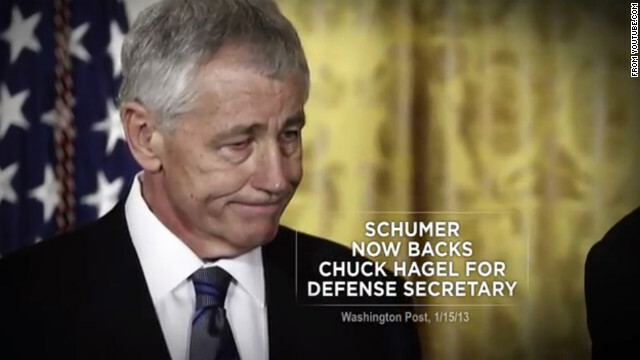 (CNN) - The conservative group American Future Fund released Friday its first television ad in a multi-platform campaign against former Sen. Chuck Hagel as President Barack Obama's defense secretary nominee. The spot will air on cable television in New York, the group said, and is critical of the state's senior senator, Chuck Schumer and his support for Hagel's nomination. CNN's GUT CHECK | for January 18, 2013 | 5 p.m.
(CNN) - Could a primary battle already be underway for the 2016 Republican presidential nomination? 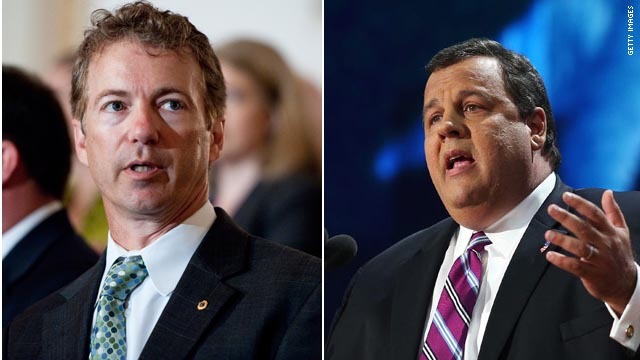 Republican Sen. Rand Paul of Kentucky took a swipe at New Jersey Gov. Chris Christie on Friday for his recent attacks against the National Rifle Association. Paul further argued the outspoken governor threw a "tantrum" when he recently criticized lawmakers in Washington over the Superstorm Sandy relief package. CNN Poll: Has Obama been all that? Washington (CNN) - More than half of all Americans say that President Barack Obama has met or exceeded their expectations of how he would handle his job in the White House, but according to a new national survey, that represents a steep drop-off compared to the start of his first term in office. And a CNN/ORC International poll released Friday also indicates the president gets low or middling approval ratings for some of the top concerns on the public's mind. 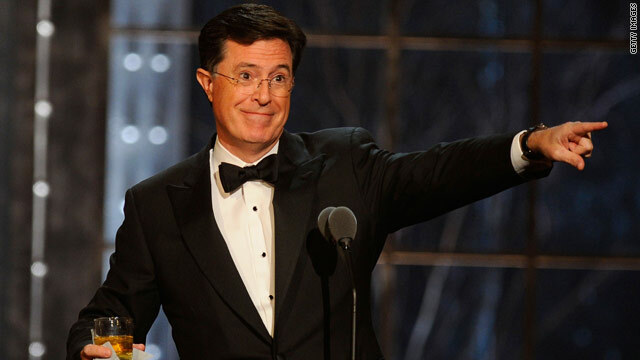 (CNN) - After years of speculation and anticipation from fans, there will be a Colbert on the South Carolina ballot this spring. But it isn't the television talk show host who is running for a seat in Congress. 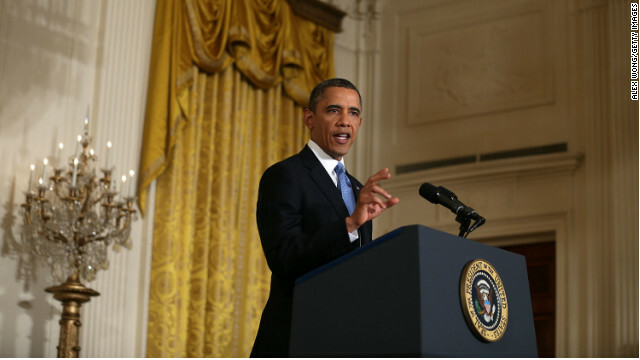 Washington (CNN) - As President Barack Obama gets ready to start his second term in office, an average of the latest surveys indicates that 53% of Americans approve of the job he's doing in office, with 42% giving him a thumbs down. That's according to a new CNN Poll of Polls, compiled and released Friday, which averages seven non-partisan, live operator national surveys conducted since January 9. 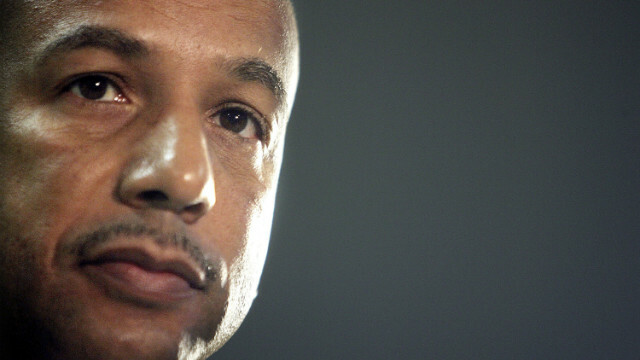 (CNN) - Former New Orleans Mayor Ray Nagin, who captured the drama of Hurricane Katrina in 2005 with an "SOS" call to the nation, was indicted Friday on 21 federal corruption charges, including bribery, money laundering, fraud and filing false tax returns. Nagin allegedly defrauded the city through "a bribery and kickback scheme" in which he received checks, cash, wire transfers, personal services and free travel from businessmen seeking favorable treatment, the 25-page federal indictment says. 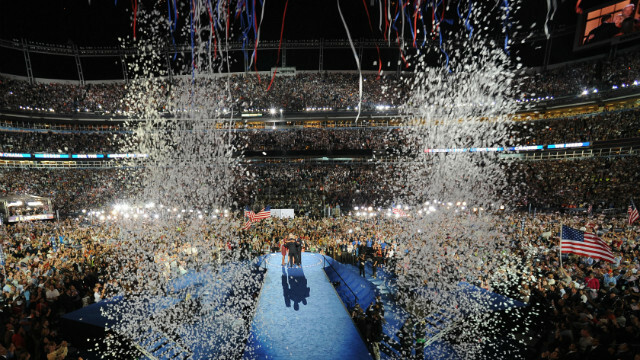 Washington (CNN) - Pulitzer Prize-winning presidential historian Doris Kearns Goodwin notes each inauguration is moving in its own way, but only a few produce moments that are truly memorable. 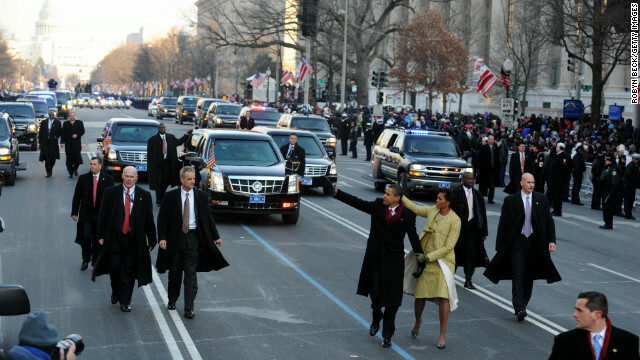 "It depends upon the person and the occasion to really produce a historic inaugural speech," Goodwin said. "But the ceremony itself ... is a real tribute to the country, that a person who was the president can go out and become a private citizen (while) a new private citizen is becoming the president."